Bad to the Bone" 4" x 8" Waterproof Car Magnet | BUDK.com - Knives & Swords At The Lowest Prices! 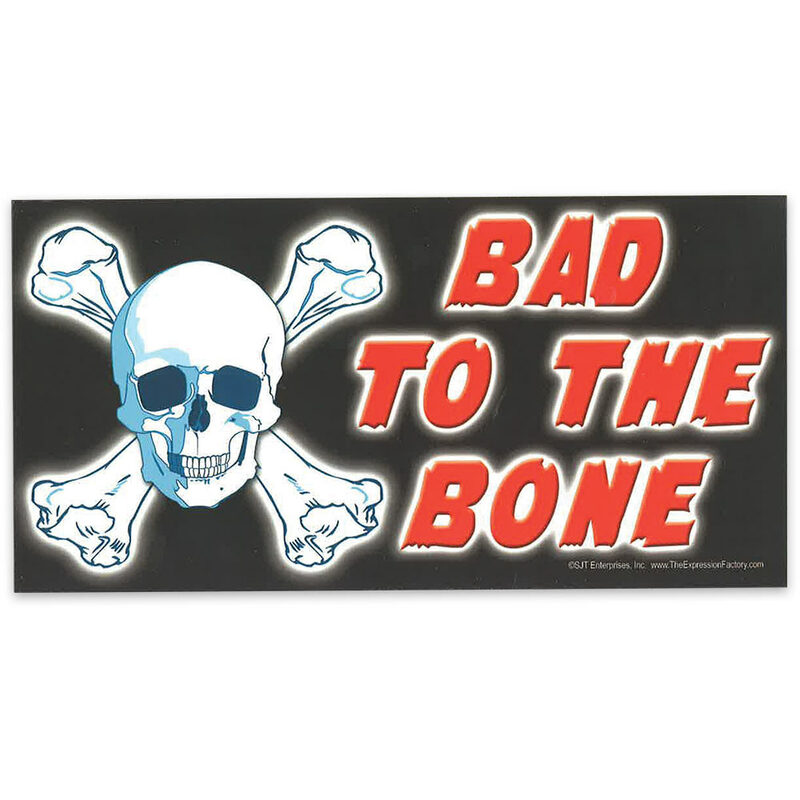 Reads, "Bad to the Bone"
With this cool waterproof car magnet, you can tell everyone who passes you by you're "Bad to the Bone" without resorting to paint-damaging, hard-to-remove bumper stickers! Bold lettering, vibrant colors and ample 4" high x 8" wide dimensions make this magnet easy to read from any vehicle that passes you on the road. It's also perfect for refrigerators, ice chests, toolboxes or any ferrous metal surface. The tough magnetic backing keeps this magnet securely affixed to your vehicle, even in windy driving conditions. Want to change up your style or message? No problem! You can remove and replace/relocate this handy magnet an unlimited number of times without leaving sticky residue or resorting to destructive scraping or harsh chemical stripping agents. Brilliant UV-resistant colors won't fade, even in full sun, and no amount of rain, sleet or snow can harm this waterproof beast. With awesome reusable magnets like this, there's no reason to buy another bumper sticker! And you won't find a better price on amusing magnets like this anywhere else, so go ahead and get one for yourself and a friend! It's a gift that won't soon be forgotten!